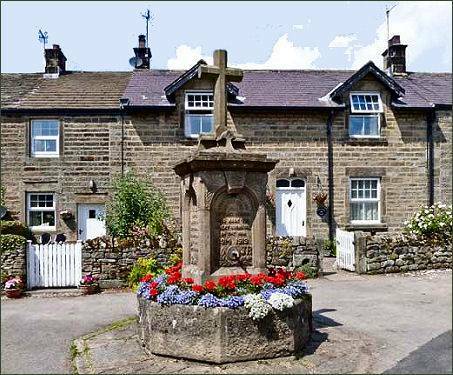 The pretty village of Lofthouse is situated in Nidderdale, an Area of Outstanding Natural Beauty about a mile to the south of Middlesmoor and 7 miles from the Market town of Pateley Bridge. The name derives from the Old Norse lopt hús, meaning "houses with lofts". The village has a pub 'The Crown' which serves food and offers accommodation, there is also a village hall, a primary school and a small shop which seves as both Post Office and general store. How Stean Gorge lies close to the village, known as 'England's little Switzerland', where the river has carved out a deep gorge down the valley. The steep sided gorge is almost 1 km (just over ½ a mile) in length and up to 20 metres (80 feet) deep in places. Visitors can explore its caves and tunnels or take part in a number of outdoor activities such as gorge walking, abseiling, caving, canoeing, and rock climbing. A cave in the gorge (pictured right) was once the hideout of a notorious highwayman named Tom Taylor, who is said to have killed many of his victims in cold blood . 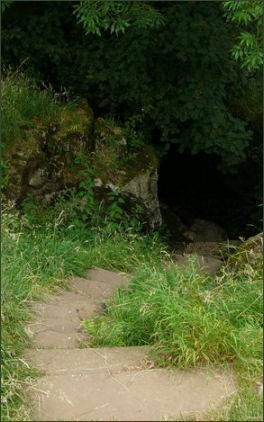 The cave leads off the side of How Stean Gorge and emerges in a nearby field. Local legend relates that he hid in the cave and when he overheard people approaching he would make a sound like the hoot of an owl. Searchers then concluded that the cave must be empty if an owl was in it. However, after being involved in a fracas, Taylor lost some of his front teeth, resulting in the subsequent 'hoot' sounding nothing like an owl. He was eventually apprehended, tried and executed.